Playing slots online is a fun past time enjoyed by millions all around the world, but if you’ve never placed a bet on a machine before it can seem a little daunting. We’ve put together a list of points which will help you learn how to play and what to look out for. Slot games are probably one of the easiest casino games to play online. That’s why they have become so popular over the years and are the go-to game of choice for new casino players looking for some quick action at a low cost. However, even though they are easy to pick up and play across all types of devices, some key factors are worth knowing when you open up your first video slot, and before you press the big spin button on your screen. There are a few different varieties of slots that you can choose from. Each one offers something different ranging from the classic 3 reel slot games to video slots with five or more reels and the newest style that’s recently emerged, grid slots. They all offer players the chance to win real money. However, some are simpler than others, some come packed with complex bonus features, and some come with considerbale jackpots in the millions. Often we advise to start with a few classic three-reelers, take a few spins and get used to the various parts that make them up, then move on to other video slots with more reels and features when you’ve become comfortable playing. You can find out more about the different types of slots online in our handy post. Once we open up a new slot game, one of the first things we do is head to the slots paytable. The icon to open it differs between providers but can be seen as a question mark, i, trophy, rows of lines or a few more icons. Why? Because the paytable lets us know a few more essential features about the game we are about to play. It lists all the symbols, highlights how much each one pays for finding the relevant amount of symbols in a payline or win line, which helps you identify the high paying and low paying symbols. You’ll find out if scatter symbols pay if there are wild symbols and if they have multipliers attached like in the Midas Golden Touch slot, and an overview of all the bonus features that the game contains. Essentially, it’s a brief user manual that helps beginners and experienced players choose whether to play the game or find a different one to spin on. The slot’s features are what makes or breaks a game. You’ll find them in the paytable, and more doesn’t mean that the game will play better or payout more. Some of the simplest games with only a few features are some of our favourites, but what’s great is that there are a vast variety of different slots to choose from, each one varying in some way thanks to its features. So what do we mean by slot features? These are the aspects of a game that can help create more wins, help build bigger wins, and can help put a smile on your face. They make the game more fun to play through the use of multipliers, adding random wilds, instant win pick me bonus, multiplier trails, free spin games, expanding reels, wild reels, sticky wins, collapsing reels, the list goes on. We’ve written a whole list of slot features and what they mean for you to take a look at. 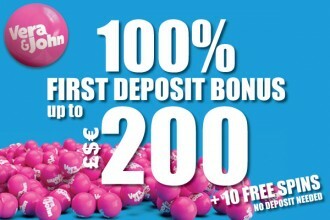 Our advice would be to start with a game with few features, the low variance Starburst is always a good choice, or perhaps NetEntertainment’s Gonzo’s Quest with its collapsing reels, multipliers, and free spins offers a little variety but a good introduction into a more complex game. Ok so you’ve read the paytable, know what features it contains and have an idea about what how the game is going to payout and which symbols to look out for. But there’s a couple of aspects about a casino slot that is often worth searching for as it will help make your decision about how often you can expect it to pay out, how much you need to budget and its style of gameplay. These are the slot volatility, often also referred to as slot variance, and the return to player rate referred to as RTP. The first is the hardest to find within the paytable or additional help files. Only providers like Pragmatic Play seem to clearly state the volatility on their machines, while for other slots studios you’ll have to read our online slot reviews to find out this detail. The volatility essentially lets you know how often and how big the wins you’ll get. The lower the volatility, the more frequent your wins will be, but they also tend to be on the smaller side around your bet or less than your stake. Medium variance games sit in the middle with slightly less frequency but more significant potential wins, while high volatility games like Royal Masquerade offer more prolonged periods of no wins, with a mix of smaller wins and random big payouts. This last type is for the more experienced player, who like to risk more with the potential also to win more in the long run. Our advice is for those learning about online and mobile slots is to start with lower variance and move your way up the volatility scale the more experience you get. The Return to player rate is the second aspect of a game you should be on the lookout for. The RTP is more widely available, but is either hidden in the last page of the paytable or the how to play help files you can often find. It’s an important factor when considering whether to play a game. The return to player rate of an online slot or RTP is the number of times that it will pay out to the player throughout its lifetime. That’s why it is also referred to as theoretical RTP, cause even though it has been through tests by independent testers to make sure the game is fair, the RTP is calculated from x amount of spins, often about one billion or so, which means if you tested it with more spins it could go up or down. Get it? Yeah, it took us a few times reading about it to understand too. Mainly, you are looking for games with an RTP value of as close to 100 as possible. Often games above 96% are what we tend to play. Games lower than this tend to be big jackpot games like the Microgaming Mega Moolah Slot or NetEnt Mega Fortune, cause they need players bets to top up their jackpot totals. If they don’t contain a jackpot and have a low return rate, shy away, especially as a new player. Looking back at the paytable, or on the main screen, you’ll often find that a game comes with a number of paylines. These can also be called bet lines, win lines or ways to win and show you when the game will pay out. When you get the right amount of symbols on a payline, you’ll then win the corresponding amount shown in the paytable for that symbol. It’s pretty easy to understand, but one thing we would always advice is that you play with the maximum amount of paylines the slot contains even if it means lowering your total bet. Why? Because it gives you the best chance of creating a winning combination and in turn better odds. Some slots come with fixed paylines which means you can’t change them, which is good, but often slots beginners choose to reduce the number of paylines, to reduce the bets they can make. For us, this is a novice mistake. If you can’t afford the minimum bet of the game at maximum paylines, move on and find a new game to play that you can. You’ll enjoy the games better and won’t feel cheated when you find out the game isn’t paying out as often as thought it would. Still with us? The next piece of knowledge we are going to part from our years playing all different kinds of slots machines is about choosing your bets. Some slot providers have made it easier than others giving you fixed betting amounts to choose from, from the minimum bet to the maximum bet range with various betting options in between. Others let you select between a number of coins and the value of the coins, this can be a little bit more complicated to understand but always go with the more coins for the value size than the other way round. As a slots newbie, you’re going to want to probably play at the minimum bet for a while till you see how the game pays and plays. This is easy to do either choose the fixed minimum bet or reduce the amount of coins and value of the coins right down by pressing the minus button on the screen or from the betting menu. The game will always show you your total bet, no matter which you decide, but be sure to check it before you press the spin button to make sure you’re betting what you thought. You’re ready to spin, what next? Once you’ve gotten to grips with the all the parts that make up an online slot machine, its then time to press the spin button, cross your fingers and hope you hit a win that’s equal or bigger to your bet. The great thing and the most exciting thing about playing slots is that any spin could be the one that provides you a big win. The outcomes are random, or as random as they mathematically can be, run using random number generators to produce the results. It means that no game runs hot, no game runs cold, and everyone technically has the same odds of winning, it just plays as it should. Some players get luckier than others, some hit the big jackpots, and some don’t. But the feeling of the next spin it could be you is what gives us and many others joy. But there’s one last tip that can help offer some more rewards. 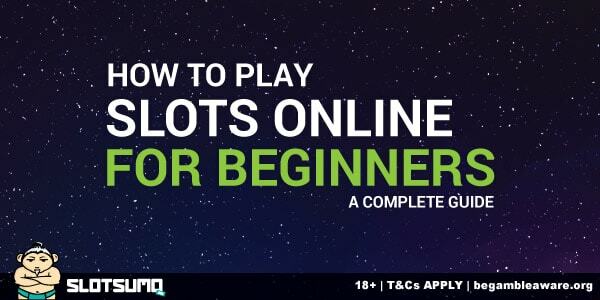 Hopefully our beginners guide to slots has given you a few tips and hints on what to look out for when taking your first spins. But, if you want to play slots and get something extra on top, then our advice is to find a new casino site that offers a loyalty program that lets you stack up points whether you win or lose. Casinos like Royal Panda, Vera &John and Rizk casino all spring to mind, offering casino loyalty rewards, some based on how much you wager, some based on performing actions within your casino account. Then once you’ve stacked up enough points or reached a new level you’ll be able to choose from a few select bonuses that can let you spin for longer, or in the case of Rizk the potential for wager-free free spins where you get to keep what you win. It’s worth taking a look at least, especially if you find that you like the games and can see yourself playing there for a while. Here at SlotSumo, we aim to provide you with not only the resources to help you learn more about slots and casino games, but also unbiased slot reviews filled with all the details you need to make an informed decision. Browse around our website, and you’ll find slots, casino reviews, bonuses and more.